Mother Nature is an artist. I never thought of a closeup of the back, but this is outstanding. 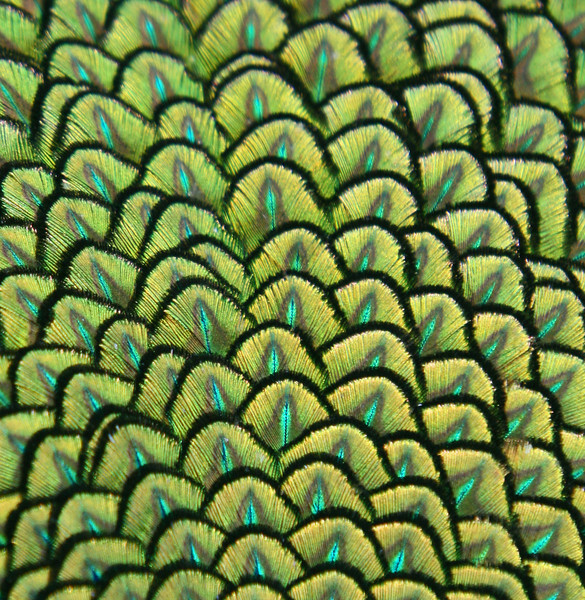 Btw, I've never seen a pea!+$% or peahen with this coloring.